Do You Know These 5 Common (and Deadly) Driver Mistakes? We all make mistakes from time to time. More often than not, these errors do not have serious repercussions, but for drivers, all it takes is a minor oversight to cause a devastating accident. The overwhelming majority of collisions involve human errors. A 2015 study by the National Highway Traffic Safety Administration found that human mistakes contributed to 94 percent of all accidents between 2005 and 2007. That accounts for more than 2 million accidents. No matter how cautious you are behind the wheel, you cannot control the actions of other drivers. If you were injured by a negligent motorist in Kentucky, contact the Troutman Law Office. You should not have to pay for medical bills and lost income that another driver caused. Matt Troutman is an accident attorney in Louisville who will help you recover compensation for your economic and non-economic damages. Call to schedule a free case evaluation. What Are the 5 Most Common Driver Errors? Poor weather, defective auto parts, distractions – there are countless factors that can lead to car accidents. However, most collisions are entirely avoidable if drivers behave responsibly. 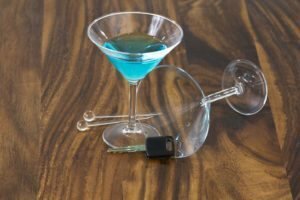 Driving under the Influence: Alcohol contributed to nearly one-third of all traffic deaths in 2013, according to the Centers for Disease Control and Prevention. If your plans involve drinking, then arrange alternative transportation to reach your destination safely. 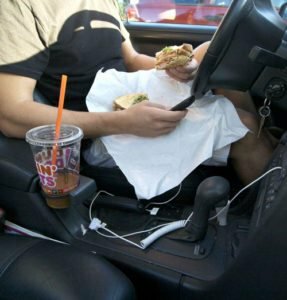 Engaging in Distracted Behaviors: More than 3,000 people died and 431,000 were injured in distraction-related accidents in 2014. Make a concerted effort to avoid texting, eating and drinking, gawking at accident scenes, and engaging in other distracted behaviors behind the wheel. Speeding: Speeding reduces the amount of time you have to react to unexpected hazards. It also elongates your stopping distance and increases the risk of injuries or death in the event of an accident. Tailgating: Every year, there are more than 7 million rear-end accidents in the United States. Many of these collisions could be avoided if drivers maintain a safe following distance. Try to stay at least three seconds behind the leading vehicle when driving on a highway, and double that distance to six seconds in poor weather. Ignoring the Weather Conditions: Poor weather can reduce your visibility and elongate your stopping distance. When driving in adverse conditions, double your following distance, turn on your headlights, and reduce your speed by at least one-third. If you were injured in a crash that another driver caused, contact a Kentucky car accident attorney from the Troutman Law Office. As your personal-injury lawyer, Matt Troutman will gather evidence, interview witnesses, evaluate the police report, and help you claim the maximum compensation. Mr. Troutman represents clients in Bowling Green, Covington, Georgetown, Glasgow, Hopkinsville, Lexington, Louisville, Owensboro, Winchester and surrounding areas. Call today to schedule a free case evaluation.